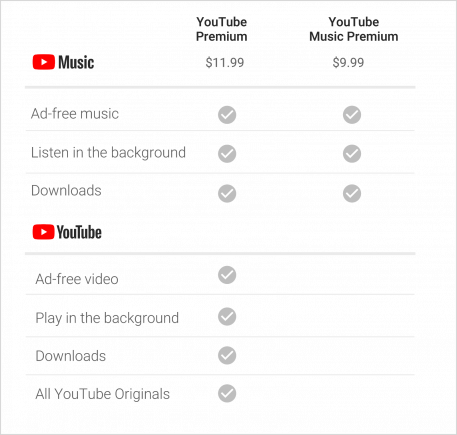 Google is tapping into the music streaming industry with a brand new rollout of YouTube Music, plus there’s now the option of YouTube Premium, both of which announced earlier this month. It’s the video sharing site’s attempt to compete directly with Spotify, Amazon Music and Apple Music — all strong players in the streaming market. At this point, it’s really anyone’s game and YouTube has a fair shot at taking some commanding hold on the music streaming industry. As part of this new initiative, YouTube Red has been broken in two ways. 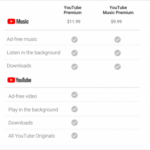 YouTube Music provides a music streaming service, and YouTube Premium offers original video content streaming. Both services will reportedly allow music streaming in the background, which is a huge plus. Priced at $9.99 and $11.99 per month, respectively, this is a service charge many music fans would be happy to pay for top-of-the-line streaming and plenty of options. Below, you’ll see exactly what you’d be getting with this newly updated site. Will you be trying out YouTube music and/or YouTube premium?